Celebrating its 20th year, the Fantasia International Film Festival has become Montreal’s largest and most important film festival. In the face of the cadaverous World Film Festival and the comfortably established Festival du Nouveau Cinema, Fantasia has only recently come of age, ranking among the most important fantastic film festivals in the world. It’s where horror hopefuls from Hollywood test their new material, and where the newest, most daring genre talents are discovered. While the lineup at Fantasia rarely features in the year-end awards circuit, this can only be seen as an asset with a curation that consistently seeks to push up against the status quo. Supported by the government, with a growing list of sponsors and high-profile guests, the festival still manages to uphold its punk mentality—for now at least, successfully juggling its newer establishment ties with a celebration of freakdom. Fantasia serves as a mirror of a cross section of Montreal, the downtown core that is constantly in motion. For years now the festival has been headquartered at the Concordia University campus, with most screenings taking place at two university-owned venues. Among the city’s more English areas, most of the residents of this area of the city are students. While it doesn’t host nearly as many international students as McGill (which is just down the street, hardly a ten-minute walk), it seems to be a revolving door of young people from across Canada and the world. It reflects a certain spirit of the city that seems bustling and full of life, but behind that façade lies endless construction and a sort of aching restlessness that is not quite apparent until you call Montreal home. Fantasia seems to face that reality head on, putting up a mirror to its audience, reflecting back the lonely dread of perpetual motion back at them. Among the strongest programming in recent memory, this year’s edition of Fantasia seemed unusually focused on isolation; the strongest films in the sprawling lineup hinged on the impenetrable solitude of modern life. An idea as old as cinema itself, in the hands of some of the most innovative artists of genre, this theme takes on new and horrific implications. Running as part of a profile on Polish cinema (in homage to the late, great master of Polish cinema Andrzej Żuławski), featuring recent festival favorites such as “Demon” and “The Lure," “I, Olga Hepnarová” (pictured above) stands out among Fantasia’s most bleak outputs. A reflection of the festival’s diversity, the film occupies ground in arthouse and true-crime, adapting the story of Olga Hepnarová, a 22-year-old woman who drove her truck into a crowd of innocent people in Prague, 1973. In stark black and white, with an aching pace that emphasizes with every beat the dull tone of existence, a painful portrait of increased alienation slowly emerges. Olga (Michalina Olszanska, one-half of the mermaid duo from “The Lure”) can’t seem to fit in, and beyond that, is routinely beaten down psychologically by society. As characters comment on her smell and her lack of social queues, Olga puts up more and more walls. Non-verbal and increasingly alone, we feel her growing alienating as she shivers through long winter nights and in her ravenous but empty sexual hunger. Starved for intimacy, she becomes increasingly withdrawn as even her friends begin to push her away. Days, weeks and years blend into one endless night. At a certain point, she decides she can’t take it anymore, driving her pain through an innocent crowd. Echoing rather uncomfortably the recent events in Nice, the film emphasizes with Olga’s desperation. It doesn’t revel in her violence but tries to make sense of it amidst her slow mental deterioration. The scene of her rampage plays out unromantically, in what feels like a sustained shot of bodies ramming up against a large lumbering van, seen from the perspective of the passenger seat. Seating us with Olga forces culpability onto the audience, bringing attention to Olga’s later pleas that her mass murder was an indictment on a society that preys on the weak and eats its young. The film, and the last act, in particular, starting with the murder, accuse a populace that would rather hang the outsider than face its own moral failures. Society’s failure to protect its most vulnerable members finds its way in many other films. 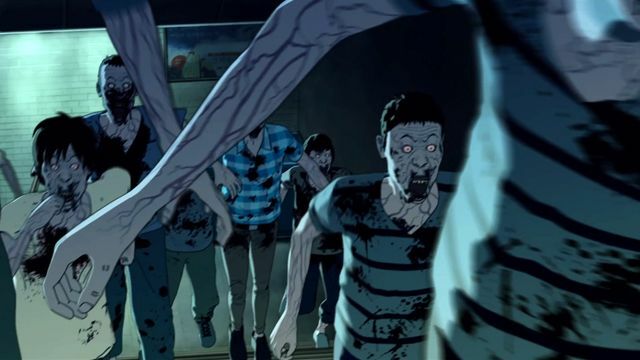 In the animated “Seoul Station,” a zombie-like virus is spread through the homeless population of Seoul, Korea. Turned down by hospitals, and neglected by the police, an increasingly large infected population takes over the metropolitan city. Rather than face the truth of an epidemic, the police force believes the homeless people are revolting and choose to shoot them down rather than face the much greater threat of a pandemic. The film works as a sort of prequel to “Train to Busan," which also screened at Fantasia as well as select American theatres. Both films take place during the same epidemic, using a zombie outbreak to deconstruct class inequality and the ramifications of valuing individualistic motives over the collective. Both films suggest through its disenfranchised characters and a deep-seated alienation that the zombie metaphor is an apt, threatening reminder of those society leaves behind. Urban angst and isolation lies at the heart of two films from Japan, and easily among the festival’s best entries. Brian Tallerico has already gone in depth as to why Kurosawa has returned to form with “Creepy,” the unsettling tale of serial killers and impostors in the technological age. While the film loses some of its momentum in the third act, it nonetheless paints a horrific tale of dread and despair. The film draws on our discomfort in breaking social mores as a source of unsettling horror. In the movie, our willingness to be compliant with authority is the ultimate source of anxiety, as characters willingly allow themselves to be manipulated through misplaced trust in hierarchical systems. Much like Kurosawa’s previous titles, “Creepy” gets under your skin and forces the audience to reflect on their own failures and weaknesses. “Creepy” may have been the most frightening Japanese film of the festival if it were not for “Kiyamachi Daruma,” a bizarre and horrifying Yakuza film. Perhaps the biggest discovery of this edition of Fantasia, Daruma has a true air of ugliness. Shot on low-fi digital, the film has very little fanfare and almost no press. It was not a premeditated watch, but an impulsive gamble to fill time between two other screenings. The film opens with a Yakuza debt collector asking for a client to pay up. When they fail to, he returns to his car and lifts from the back seat a limbless man. Dropping the man onto the floor before them, he insists they must care for the Daruma (a reference to a Japanese doll) until they can pay up. The scene is just beginning, though, as Shigeru Katsuura taunts the family by shitting himself, peeing on the floor and crawling up to their teen daughter and settling himself between her thighs. Setting the scene for an incredibly gonzo film about the nature of loyalty, we soon come to learn that Katsuura was once the leader of the Yakuza gang, and an error in judgement left him with no arms or legs. Incredibly violent and horrifically grotesque, a dark portrait of the underworld is unveiled with no romanticism. As other members of the gang orchestrate disability fraud by crippling clients that cannot pay up, others enslave teen girls to help pay off their father’s debts. Unlike the insincere title cards that warmed 1930s audiences that crime doesn’t pay, this film lays that all out on the screen, specifically laying out a broken society where the children are forced to pay for their parent’s crimes. Katsuura (Kenichi Endō), in a self-orchestrated purgatory, emerges as a figure of incredible dignity. Endō gives one of the best performances of the year, slowly peeling back the layers of a lonely and tortured man. Unable to care for himself and stripped of his power, he cannot escape his life of crime. His only companion, his debt collecting caretaker, only grows more disdain for him as the months and days pass. Regarding his crippled condition as sort of restitution for his previous crimes, he tries to right his wrongs in the face of the world that sees him as a monster. Among the festivals other highlights: From Poland, “The Lure” glistens with sensuality and fairy tale melancholy and has rightfully been called among the year’s best by many before me. From Mexico, “We Are the Flesh” offers a dystopic and transgressive view of solitude, where death is uncertain and taboos are meant to be challenged. 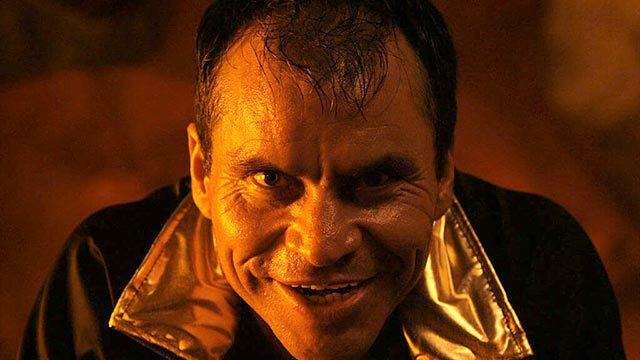 Comparable to Gaspar Noé, the film takes place in an abandoned factory where two homeless siblings come face to face with a devil man, who forces them to build a giant womb out of cardboard. “She’s Allergic to Cats” is sincerely bizarre but still somehow heartfelt romance about a video artist in Hollywood who works by day as a dog groomer. For a nice change of pace, from South Korea, “Familyhood” is a bubblegum colored comedy-melodrama about an aging actress who secretly takes in a pregnant teen as a surrogate mother, which manages to be both funny and tear-jerking. As Fantasia packs up its three-month schedule with a screening of Zuławski’s “On the Silver Globe,” Montreal returns to itself. Writing about a festival that takes place in your hometown doesn’t have the cushion of travel to transition back to routine and Fantasia has a way of turning normal life upside down. In its upheaval of Montreal every summer, it forges ties to a local and international community of genre fans, building its own canon of transgression. Fantasia feels like Montreal’s own festival, one that sets its own path and reflects a multiplicity of voices and influences. Few festivals are able to pack as much cinema into its schedule, and even less with such startling consistency of dissent. Fantasia’s greatest asset lies in a programming team that caters to and challenges its loyal audience, offering the best genre cinema from around the world, with a comfortable serving of new voices.